Donald Trump used the latest Republican debate as an opportunity to express wildly inaccurate anti-vaccine claims, embracing the thoroughly discredited position that vaccines cause autism. This claim has been exhaustively debunked, by countless scientific studies and by reports from the Institute of Medicine and the CDC. It started with a now-retracted 1998 study by one of the great villains in medicine, Andrew Wakefield, who continues to push his fraudulent views despite having lost his medical license. 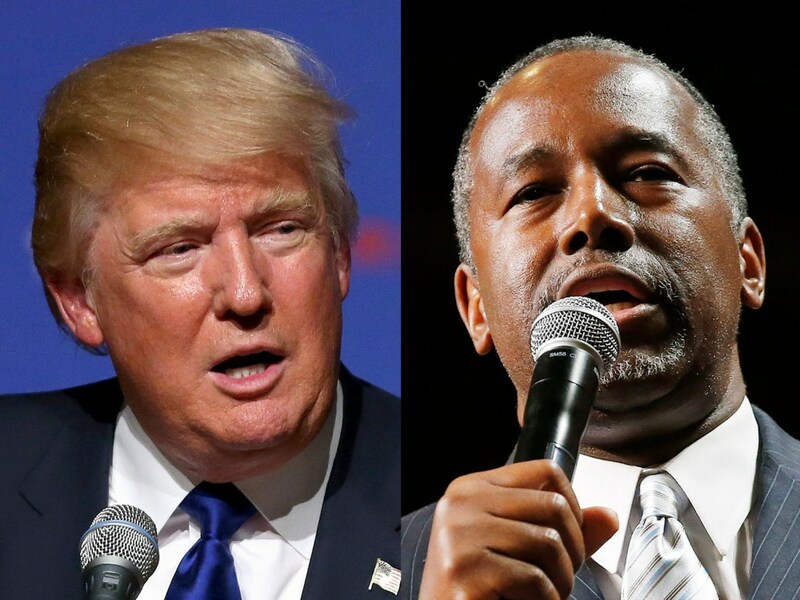 Trump's comments were nutty and dangerous, but Ben Carson's response was, in some ways, worse. Carson had the chance to set the record straight, and because of his medical credentials, he could have been effective. He failed. Trump has been an anti-vaxxer for years, so his comments were not surprising. Science blogger Orac posted a 2007 Trump quote that almost exactly mirrors what he said in the debate. What was much more surprising, and deeply disappointing, was the response of candidate Ben Carson, who until last year was a pediatric neurosurgeon at Johns Hopkins School of Medicine. (Note that although I too work at Hopkins Medicine, I've never met Dr. Carson.) Carson did point out vaccines don't cause autism, but then he made a series of false claims that come right out of the anti-vax playbook. "Each and every vaccine added to the list of recommended immunizations will save the lives and/or reduce the number of disabilities of children in the United States. With the introduction of every new vaccine, rates of both disease and deaths have fallen across the country." "But it is true that we are probably giving way too many in too short a period of time." This claim is right out of the anti-vaccine playbook: it was the basis of the "too many, too soon" campaign launched by Jenny McCarthy's Generation Rescue, the country's leading anti-vaccine activist group. In fact, the vaccine schedule is very safe, and misinformation like this trope leads to parents withholding vaccines from their children, which in turn can cause sickness, disability, and death. Dr. Frist interrupted Maher and said "wait, this is important," and proceeded to school Maher on how vaccines save lives. I wasn't a big fan of Frist, but he did a fantastic job here. Carson, in contrast, just pandered to the audience, and to Trump. The moderator also asked Rand Paul, the other M.D. among the candidates, to respond to Trump's anti-vax claims. He too repeated the anti-vaccine trope that he "ought to have the right to spread my vaccines out a little bit." This is nonsense as well: Paul does have that right, and no one has ever proposed taking it away. It's bad medicine, though, and as doctor, Paul should know better. He failed as well. It's far more harmful to the public when a high-profile doctor makes anti-vaccine statements than when a blowhard like Trump makes them. Dr. Ben Carson and Dr. Rand Paul should both know better. Watching ABC's World News Tonight this week, I saw an impressive-looking ad for a pill that claimed to improve memory and cognition. The ad showed several adults, all looking very happy, presumably because they didn’t forget where they left their keys. In appearance, it looked like many of the drug ads that run on the evening news in the U.S. these days. The ad described a product called Prevagen, which is sold as a supplement, not a drug. This is a critical distinction: supplements are almost completely unregulated, unlike real drugs. The FDA isn’t allowed to regulate supplements and their claims, thanks to Congress and the 1994 DSHEA law. I was curious about what this memory pill could be. The Prevagen ad, website and packaging make a number of very strong claims, scientifically speaking. 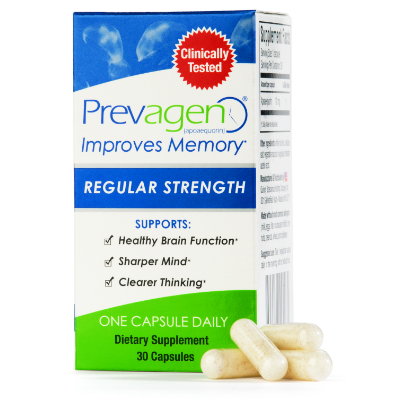 The biggest claim is that Prevagen improves memory*, something pretty much everyone would like. The website also includes the more specific claim that “Prevagen can improve memmory within 90 days. *” The package adds that Prevagen “supports healthy brain function*, [a] sharper mind*, and clearer thinking. *"
Behind this blanket escape clause, supplement makers hide all kinds of unsupported claims. Thus Quincy Biosciences–Prevagen's manufacturer–can state that “Prevagen significantly improves learning,” add the asterisk, and voila! the FDA can’t touch them, as long as they don't make a claim to cure a specific disease. And by the way, they also claim that “Prevagen improves the quality of sleep. *” There’s that asterisk again. So what is Prevagen? It’s a pill that contains a protein called apoaequorin, which is found in a species of jellyfish that glows in the dark. These jellies produce two proteins, apoaequorin and green fluorescent protein (GFP), that help them fluoresce. It’s an amazing biological system, and the three scientists who discovered GFP were awarded the 2008 Nobel Prize in chemistry. How (you might be wondering) this can be sold as a dietary supplement? After all, we don’t eat apoaequorin, and isn’t a supplement supposed to be related to something we normally eat? It sounds more like a drug. The FDA agrees with me–I’ll get to that below. Despite Quincy Bioscience’s claims, I see no reason why eating this protein would have any effect at all on brain function. First of all, it’s not even a human protein, so it's unlikely to work in humans. Second, even if it did work in humans, eating it would not deliver it to our brains, because it would be almost certainly be broken down in the stomach. And third, the connection between this protein and memory is complex, so simply having more of it is not likely to improve memory. Prevagen isn’t cheap, either. If you order direct from the company, a month’s supply of pills will cost you $66 with shipping. There’s even an “extra strength” version, though I cannot see how twice as much of an ineffective pill will be twice as effective. On the other hand, two times zero does equal zero. Prevagen’s claims should be easy to test. 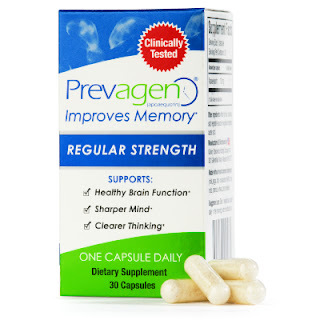 If Prevagen really does improve memory, then it would be relatively cheap to run large, well-controlled studies on randomized subjects, and I’d expect to have seen multiple studies published since 2011. But because Prevagen is being marketed as a supplement, Quincy Bioscience doesn’t have to prove anything. They just have to be careful not to cross the line in their advertising. I asked Ted Dawson, the Abramson Professor of Neurodegenerative Diseases at Johns Hopkins School of Medicine, what he thought of Prevagen’s claims. Dr. Mark Sager, a scientist at the Wisconsin Alzheimer’s Institute and a Professor at the University of Wisconsin, has been quoted saying that he does not recommend Prevagen “primarily because there’s no evidence that it does any good.” He recommends adopting a Mediterranean diet instead, which does have some scientific evidence to support it. "Apoaequorin is not a vitamin, mineral, amino acid, herb or other botanical, or dietary substance for use by man to supplement the diet ... nor is it a combination of dietary ingredients. Therefore, the synthetically produced apoaequorin used in your Prevagen products is not a dietary ingredient as defined in section 201(ff)(1) of the Act.... Accordingly, your Prevagen products could not be marketed as dietary supplements even if they were intended only to affect the structure or function of the body and not for use in the cure, mitigation, treatment, or prevention of disease." Somehow, though, Quincy continues to sell Prevagen as a supplement. Their website claims they are the #1 selling brain health supplement in the U.S. today. The appeal that Prevagen is making to consumers is a very old one: basically, they want you to think that if a protein is used in your brain, then eating that protein will make your brain healthier (even though apoaequorin is not a human protein). By this argument, I could package up hundreds of different proteins (perhaps thousands–the brain is a complex organ) and sell them as “brain food” This simplistic principle has been used for centuries in folk medicine: it’s the reason why some people think that eating the body parts of bears and tigers will make them more virile. But eating tiger organs doesn’t make you more like a tiger. It's a form of magical thinking, and there's simply no science to support it. In short, it's just wrong. Human health isn’t that simple. You don’t acquire the properties of the food you eat. Eating chicken won't make you fly, and eating tuna won't make you a fast swimmer. Eating jellyfish proteins (Prevagen's main ingredient) won't improve your memory, nor will it allow you to emit green fluroescent light. There's no magic brain food, or supplement, that will make you smarter. But you can be a tiny bit richer by not spending your money on ineffective supplements.